When organizing the kitchen started at exactly two months ago today, I think I have accomplished a lot since it all began. 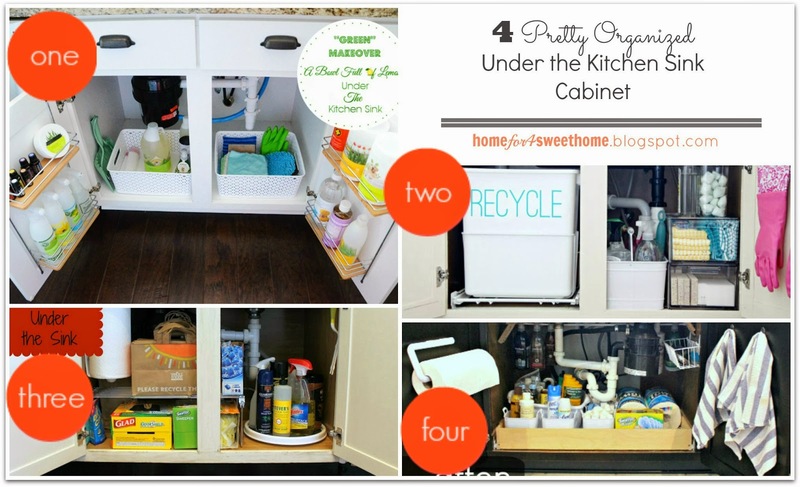 But when the moment has come to organize under the kitchen sink cabinet, I totally got the lack of inspiration to make it pretty organized. Looking at it after it was all organized - it did not make me happy. I want mine to be not just organized but pretty as well. And so the search began to get some inspiration on organizing the cabinet under the kitchen sink. And there are four pretty organized that I really like. My favorite of all is this one from Bowl Full of Lemons. Who would not be happy to open this cabinet so organized, pretty, clean & green. 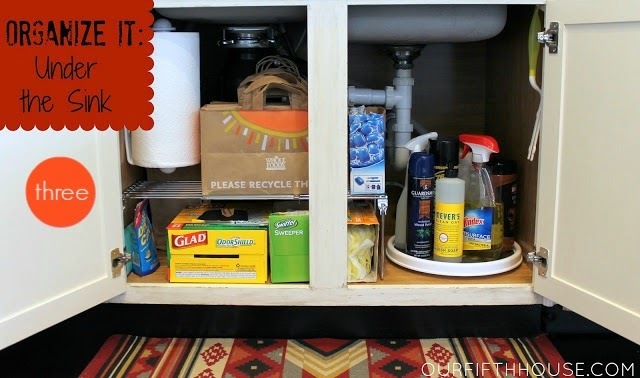 I also like those door shelves that she installed, all of her cleaning products are now definitely within reach. Next on my list is this from iheartorganizing. 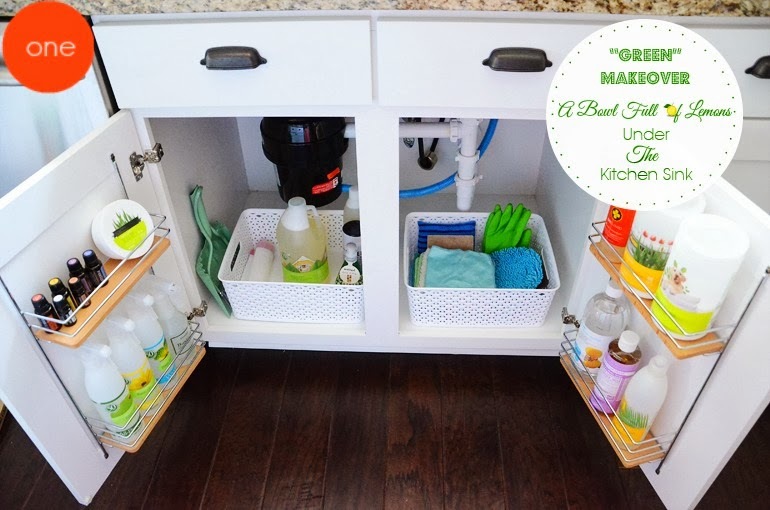 I like how she used the command hooks to hold some gloves and look at those acrylic drawers! She even labeled a regular white trash can to make it pretty. This one from Our Fifth House is another lovely. That wall mounted paper towel holder is really space-saver. 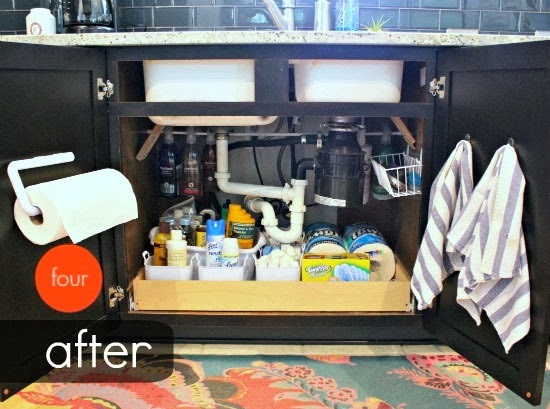 The lazy susan and stacking shelf are additional space savers too. Finally, is from Hi Sugarplum this pretty organized space. I like how she used a tension rod to hold some cleaners but she pushed that tension rod all the way to the back so that it will not look cluttered when you open the door. And also that plastic basket to the right that is mounted using a command hook. She placed that there to put some wet sponges to dry. Now that I have all these inspiring photos, let me go back to my space and let's see what I will come up with. 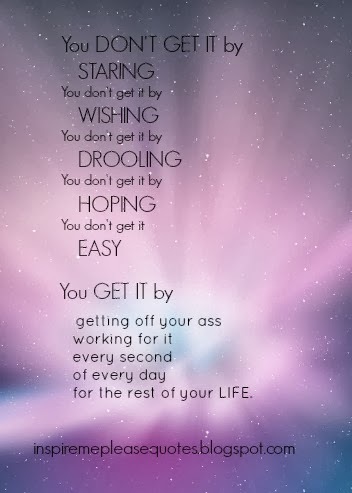 Here's some inspiring thought for you here today to let you start that thing that you have been wanting to do. Whether be organizing, losing weight, cleaning, etc. I'd love for you to follow me! I like the racks on the doors too. 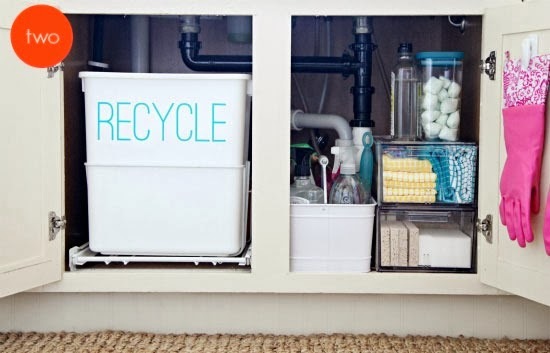 A great way to utilize space and make things easy to reach! Hi rea!!!! Nice to see another fellow pinay Blogger!! Following you back dear!!!!! Co-Hosting Meet & Greet Blog Hop! Vtech Black Friday & Cyber Monday Deals! Week 45: Fun Friday Blog Hop time! Week 44: Fun Friday Blog hop time!